The Automated Technology Group specialises in the design, manufacture, installation and commissioning of innovative control and distribution solutions. 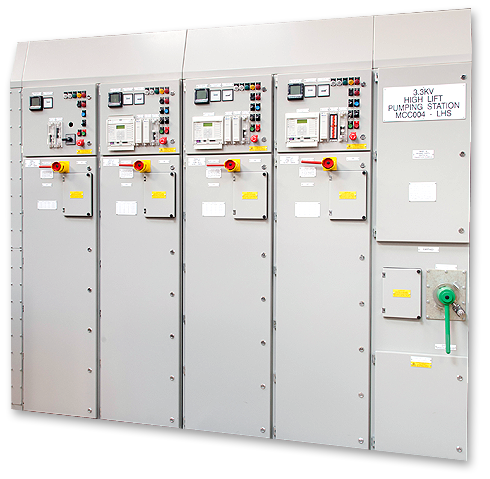 Our designs meet the latest IEC standards for low and medium voltage levels, with or without arc containment. All our switchboards and motor control centres can be incorporated into larger intelligent solutions and connected with an HMI, SCADA or automated operating system, giving you the power to monitor, analyse and achieve greater control over the way your business runs. Certified to ISO 9001 and ISO 14001 standards, we also provide extensions and upgrades to work carried out by other providers, using bespoke transition cubicle designs. We draw upon the latest technology and capability in base materials, components and precision mouldings to provide our clients with the highest levels of operational safety, system integrity and reliability. We’re committed to maintaining relationships that last with the businesses we work with, which range from UK-based SMEs through to multinational organisations.